Bataan Death March. Have you forgotten yet or did you even know? sacrificing their freedom, health, and, in many cases, their very lives. My cousin just got back from a trip to New Mexico. No, she didn’t go on a ski trip or vacation. She actually went to participate in a commemorative march. and even the Relay for Life are marches most of us are familiar with. They are marching money raisers for various good causes. But what about a commemorative death march? Perhaps it, like other marches, benefits our future. So what exactly does life expect from us? that life, as we know it, will end in 12 years? the Russians are coming” when they were never coming in the first place? that we all need to be embracing Socialism just so we can level life’s playing field. Yet did anyone catch the memo that life isn’t, nor will it ever be, fair? new green deal that rings in at a price tag of 93 trillion bucks. and that my friends will be you and me—the thinly stretched middle core of America. which cannot provide us any sort of true fulfillment. Lasting happiness can only be achieved through cultivation of soul and mind. And cultivating our souls and minds reqiures us to live with moral purpose. Something our politics and politicians cannot achieve for us. those generations that no longer have members of his generation, will simply forget. They will forget the sacrifices made on behalf of the betterment of the free world. held to in order to maintain the freedom of man. That freedom is indeed not free. so important that we never forget. they would train under simulated war conditions. By December things would change drastically. On December 8, 1941, Japanese bombers made their appearance and the war was on. who is credited as being the “First to Fire” on December 8, 1941.
with more Japanese forces landing on December 12, 1941.
only had a range of 20,000 feet and the bombers were flying at 23,000 feet. 1941 and the decision was made to withdraw the forces into Bataan. and the North and South Luzon Forces found a clear, safe passage to the Bataan peninsula. For months the American and Filipino troops fought bravely as the war situation worsened. the Bataan peninsula. Four days later, the Japanese broke through allied lines. with no food or water – to confinement camps throughout the Philippines. collapsed along the way – were shot or bayoneted on the spot by their Japanese captors. died during the Bataan Death March. water and even clothing, the men were tortured, malnourished and riddled with disease. the three plus years in confinement. It wasn’t until late summer of 1945 that these prisoners of war would see freedom. within their first year of freedom. while prisoners, or immediately after liberation. There were 987 survivors. See the “Casualty Report” attached. The attached report is the result of 12 years of research and is a must read. for one year of active duty training. There are currently (69) 200th & 515th Coast Artillery survivors living today. Not all of the 200th & 515th Coast Artillery men made the Bataan Death March. to details throughout the Philippine Islands and did not make the Death March. eventually moved to Old Bilibid Prison in Manila, never making the March. The 200th & 515th Corregidor men’s experience is worth taking notice. to constant shelling for the next month. the fight until Corregidor was surrendered. dumped in the water short of the beach and made to wade ashore. past the University Club where General Wainwright and his senior officers were being held. what has come to be known as the “Gloat March” to Old Bilibid Prison. loaded in to the same 40×8 type boxcars as those who made the Bataan Death March. 100 prisoners to a car box car meant to hold only forty men or eight cattle. (or about 12 miles) to Cabanatuan prison camp. Two 200th Coast Artillery men were awarded the Silver Star for gallantry in action on Corregidor. Nationwide, there are less than 1,000 Bataan & Corregidor survivors. who were attached to other units, not the 200th or 515th, living in New Mexico today. Evans Garcia used to tell his daughter Margaret that freedom is not free. 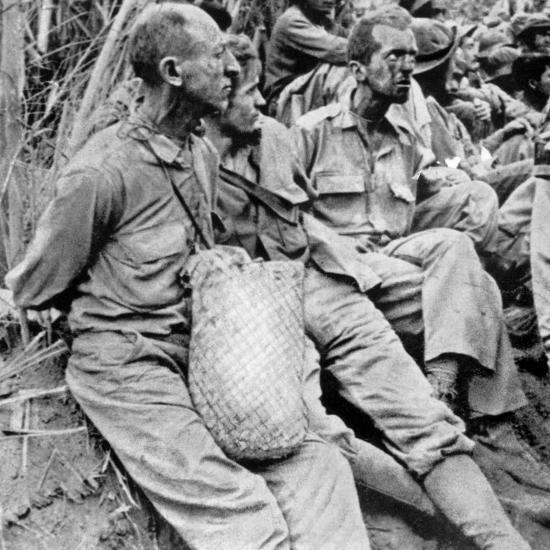 of the early years of World War II: the Bataan Death March. subsequent incarceration and inhumanity in Japanese prisoner-of-war camps. Just over a dozen of those soldiers are believed to be alive today. some wonder if their story will eventually be overlooked as those survivors pass away. said Margaret Garcia, whose father died in 2011.
a 98-year-old survivor of the march who lives in Alamogordo, agrees. on White Sands Missile Range in late March. But others, including historians and history teachers, disagree. educators will continue telling their story. the Bataan campaign into his New Mexico history class for ninth-graders. “It would take a long time for it to be forgotten, at least here [in New Mexico]. Western civilization at Santa Fe Community College, agrees. including the story of the Navajo Code Talkers and the creation and detonation of the atomic bomb. the issue of war crimes, a still-relevant topic. has decided are not acceptable in wartime,” Hegmann said. but we don’t talk about the four-month battle that those men fought,” he said. They shut down a lot of plans the Japanese had to take over Australia and other islands. 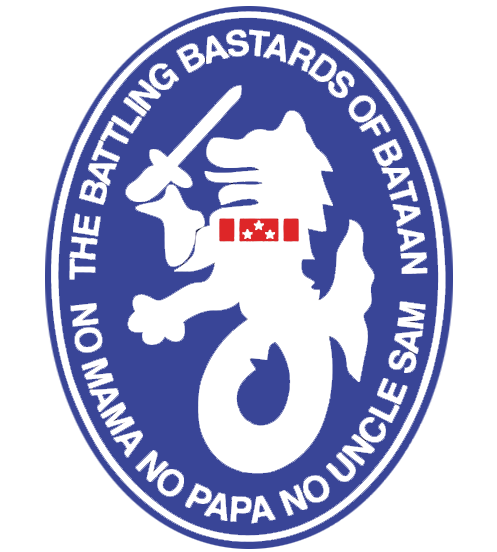 story of Bataan could fall by the wayside. relevant and they can find someone living to talk to about those,” he said.